Regardless of whether you’re opening a cafe, a steakhouse, an ice cream shop, a pizza place, or a bar, you’ll need some form of refrigeration. After all, you’ll need to keep certain foods and beverages cold. 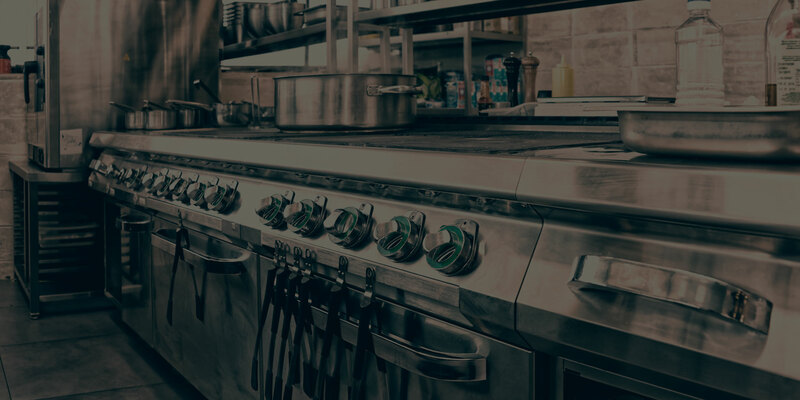 Fortunately, if you’re buying equipment on a small budget, you have the option of buying refrigeration used in Naperville, Illinois. Doing so will help you save substantial amounts of money during the buying process. Wondering what type of used refrigeration is available? Read on! When you run a restaurant, you have a need to keep foods frozen for prolonged periods of time. What can you use to freeze foods over long periods? Deep freezers. These freezers possess a great deal of both vertical and horizontal storage space. Opening from their tops, they can store large amounts of food over long periods of time. It doesn’t matter whether you’re storing vegetables, meats, grains, or otherwise, a deep freezer will accommodate you. Are you interested in buying a deep freezer on a budget? Your best bet is to buy it used. Whether you operate a cafe, an ice cream shop, a pizza place, or otherwise, you might like to display your food to your many customers. If you’re planning on displaying cold foods, the best way of doing so is with a frozen display case. These glass cases keep foods chilled while simultaneously keeping them fully visible to customers. With plenty of used, but quality models available on the market, you should have no problem finding one on a budget. If you serve leafy greens in your restaurant, you could very well make use of a lettuce crisper. These machines keep greens fresh and moisturized, allowing you to store them conveniently for lengthy periods of time. Available used, they can be bought on a relatively limited budget. Take a look at some of our used lettuce crispers now! It doesn’t matter whether you’re running a cafe or a general restaurant; if it has a bar, it can benefit from under-bar refrigerators. These refrigerators are designed to fit directly under bars, making them great for storing bottles, cans, and other bar-related necessities. Fortunately, under-bar refrigerators don’t tend to lose functionality over time. This means that they can be easily refurbished and sold used, performing essentially as well as the first day that they were put into use. In a commercial kitchen, refrigeration needs to be versatile. Chilled foods need to be in close proximity to cooks to prevent said cooks from having to walk back and forth all throughout a working shift. How can you ensure that chilled foods are always close by? By using portable refrigerators. There are tons of used portable refrigerators on the market. You shouldn’t have trouble finding one which suits your needs. Regardless of the type of restaurant you’re opening, it can benefit from under-counter refrigerators. Under-counter refrigerators fit directly under countertops, taking up very little space overall. Looking for under-counter refrigerators on a budget? You are sure to find used models out on the open market. 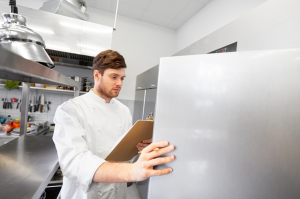 Are you in the process of buying refrigeration for your restaurant? Interested in buying used refrigerators in Naperville, Illinois, specifically? If so, you can find them here at March Quality New and Pre-Owned Foodservice Equipment. We sell all of the refrigerators discussed above, and much more. All of our used equipment is put through an in-depth refurbishing process, ensuring that it’s up to standards and ready for regular use. Contact us today to discuss your refrigeration needs!